Myrtle, spreading, is fraught of sweetly sad honey. Mirt ordinary is a shrub or small tree 2-5 m (6-16′) tall with evergreen, oblong-ovate, located opposite leaves. When you look at the leaves on the light they seem to be perforated: it is translucent containers of essential oil. Flowers are solitary, on slender stalks, small, pale white or pink, fragrant, with numerous stamens, located in the axils of the leaves. After blooming there are black berries with a strong fragrance. Myrtle grows slowly, begins to blossom in 4-5-years. In ancient Greece, myrtle was a sign of supreme power and honor. From legend we know that myrtle was not liked by the goddess Artemis. This goddess, daughter of Zeus and Latona, virgin goddess, the goddess of the Huntress, has independent and proud character. She did not suffer any contradictions, and even more attacks on her person. Young Actaeon was killed by his own dogs only because he saw her naked. 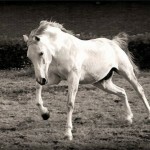 During one of her hunting the myrtle twig caught on the clothes of the goddess and this slowed her pace. Goddess hated perk plant and since then she could not see it. slowed virgin pace, since then she hated myrtle. 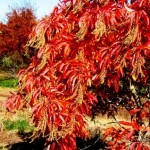 In Rome, the myrtle was considered a tree of a goddess of love, Venus. Her temples were decorated with thickets of myrtle, wild myrtle groves were devoted to her. There are multiple legends about myrtle, but the legend of the cruel beauty Alcina is the best known from the Middle Ages. Alcina, who lived on an island in the Mediterranean Sea, was a witch. She turned all men who have come on her island into a myrtle trees. And as the fame of her beauty, carried by gulls, was widely known, her home had a whole grove of myrtle, and no one knew about its origins. But one of the knights, coming down from the ship at an unknown island, tied his horse to a tree in the myrtle grove. Suddenly there was an indignant voice, “Do I have to endure this rudeness”. Voice was heard from the tree. Polite knight apologized and inquired the amazing tree. Tree, spilling transparent resin drops of tears, spoke about the perfidy of the owner of the island and about the unfortunate fate of many famous brave knights, turned into myrtle trees. In the morning, fairy washed face with the extract of fragrant myrtle leaves, that’s why her beauty never faded. The Baltic peoples had poetic tradition, associated with this plant. Each girl grew a myrtle tree in a flower pot and on her wedding day wore a crown of its branches on her head. Of course, myrtle is the popular because of its healing properties. Wine extract from the fruit of the myrtle was considered the elixir of health and vigor, myrtle water was used to make skin fresh. A branch of myrtle or a ring on the finger of its timber, taken to the road, strengthened the traveler. Avicenna paid much attention to the myrtle. He distinguished three types of myrtle: black, white and the mountain, and the latter is considered a stronger than first two. 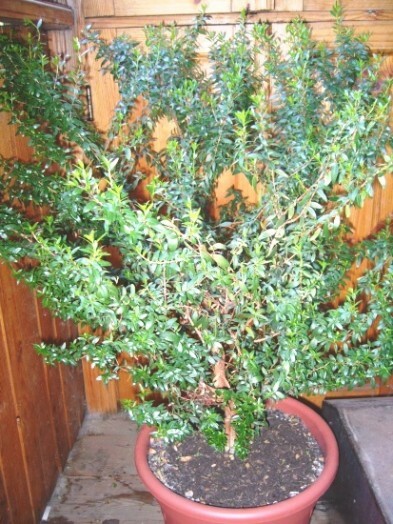 He said: “Myrtle delays diarrhea, perspiration and every bleeding … When you ground a person with a myrtle in the bath, it strengthens the body … Pouring of broken bone with its broth accelerates its fusion … Myrtle oil, squeezed juice, broth and especially myrtle fruits prevent hair loss, strengthen their roots and make hair long and black. The myrtle, cooked in wine and applied as a medicinal dressing, cures ulcers … and burns from the fire and prevent the formation of blisters”. 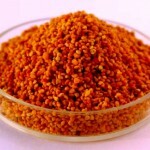 He also founds it useful in diseases of the eye, stomach, bladder, liver, and female diseases. 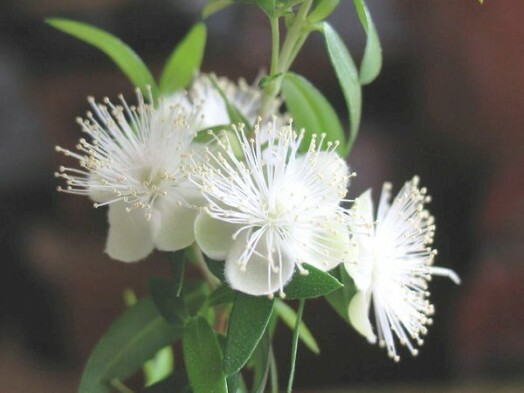 Scientists confirmed high bactericidal properties of its essential oil, in addition, the myrtle is recommended as an alcohol tincture for inhalation for upper respiratory tract infections. Experimentally proved that the extract from the leaves of the myrtle is active against bacteria resistant to penicillin, streptomycin and other antibiotics. 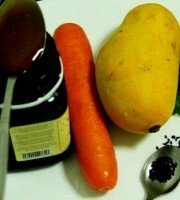 Use the decoction and infusion of myrtle, preparing them in a ratio of 1:5. To receive infusions you shred leaves, pour 70° alcohol and keep five days in a dark place, shaking frequently.Take 25-30 drops 3 times a day 30 minutes before meals. From all the extensive tropical myrtle family Myrtaceae Common is the furthest in the north. It grows in southern Europe and western Asia and it is one of the most characteristic elements of the Mediterranean landscape. Since ancient times, myrtle is cultivated mainly for essential oil, contained in all plant organs. The essential oil is used in perfumes, myrtle water is obtained by distillation of leaves – in cosmetics. Fresh and dry fruits are used as a spice in cooking. Myrtle’s infusions, tinctures are used for bronchitis, asthma, tuberculosis, diphtheria, sinusitis, heart, blood, throat, bones, brain, including epilepsy. Infusions, tinctures and dry leaves of myrtle are successfully used in the treatment of many diseases of the gastrointestinal tract, including dysbacteriosis, in the treatment of cystitis, prostatitis, pyelonephritis, hemorrhoids. Myrtle is more effective than streptomycin and many antibiotics. You can give it to children with allergies to antibiotics. Contraindications to its use have not been identified. Infusions, decoctions, fees of myrtle are mixed well with many other herbs, especially for the lungs, gastrointestinal tract and so on. Myrtle is one of the best means for many infectious and inflammatory diseases of the internal organs. Myrtle treats external inflammations, including fistula, purulent sores, shingles, acne, osteomyelitis. 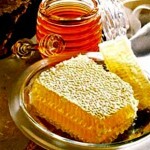 Application of myrtle liqueur treats well the diseases of the mouth, periodontal disease. The daily mouthwash with infusion of myrtle, especially in combination with tincture of black walnut, can safely stop many putrefactive processes, including dental caries. Daily use of myrtle liqueur is perfect prophylactic against many diseases. In folk medicine, the myrtle is used for diseases of the urinary bladder, prostate, gynecological inflammatory diseases, multiple intestinal problems. Myrtle positive treatment effect is often manifested quickly. In reference books and literature is not mentioned anywhere about the antiallergic properties of myrtle, but the practice has confirmed his properties. It is known that allergies are of different nature, but nonetheless myrtle often helps in various types of allergies, including chronic ongoing. One of the most promising plants of Australia as a source of valuable essential oil and as a spice is Backhousia citriodora F.Muell. It is an evergreen woody plant of family Myrtaceae, it grows in the rain forests of eastern Australia. 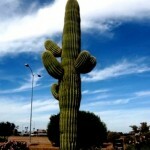 The tree can reach 20 meters (65′), but it grows much less in the culture. The bright green leaves are opposite, oval, 5-12 cm (2-5”) long and 1.5-2.5 cm (0.7”) wide. 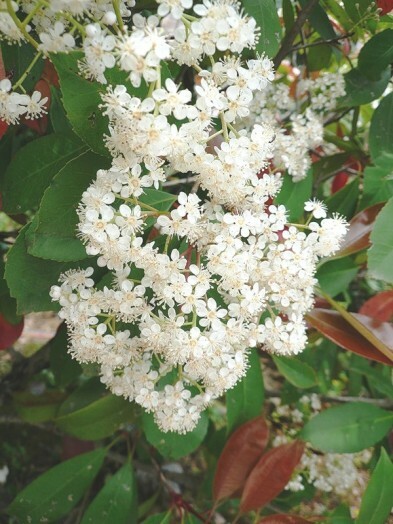 The flowers are creamy-white, 5-7 mm (0.2”) diameter gather in racemes at the ends of the branches, flowers appear in the summer and bloom until fall. Commercial cultivation of lemon myrtle is on the north coast of New South Wales and partly in Astonville in Australia. Small amounts of two related spices for essential oil – anise myrtle (Backhousia anisata) and cinnamon myrtle (Backhousia myrtifolia) are also cultivated. Botanical name Backhousia was given in 1853 after the English botanist James Backhouse. Common name reflects the strong lemon smell of mashed leaves. 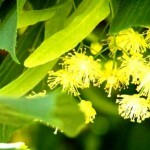 Indigenous Australians have long used lemon myrtle as an antibiotic. Essential oil of lemon myrtle contains many citral, more than lemon grass and has antimicrobial properties, but at high concentrations it is poisonous. When diluted to a concentration of about 1%, the toxic effect disappears, and the oil is used as a medicinal lotion for skin infections. The taste and smell of lemon myrtle leaves are very similar to the lemon, but it is more bright and rich and does not contain acid. Gourmets consider the taste as “more lemon than the lemon”. Lemon myrtle leaves are also used in cooking, especially in the newfangled Australian style “bushfood”. Australian cuisine is only formed and defined its national character, but we can say that the dishes in the style of “bushfood” absorb the impact of immigrants on the Australian continent, but local herbs and spices give the typical Australian flavor.While lemon myrtle is little available outside Australia, but its use is gradually expanding – for lemon sauce for pasta, for fish, for flavoring oils and vinegars, for plant teas. The leaves are also used to flavor poultry – for fried chicken 1-2 leaves are enough. Lemon myrtle is a good substitute of lemon in dairy foods, such as cheesecake, lemon ice cream and sorbet, which can usually curl of citric acid. In industry, lemon myrtle is used for the production of soft drinks and other beverages. 1 part of green tea. 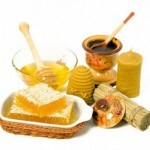 It is better to eat honey from Australian plants than be treated with antibiotics. 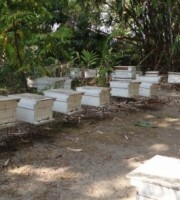 Scientists from the University of Queensland (Australia) recognized myrtle honey as the most useful. 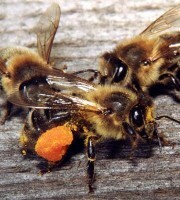 Experts studied the honey, collected from the myrtle tree called Leptospermum polygalifolium, which grows along the east coast of Australia – from the south coast to Cape York. 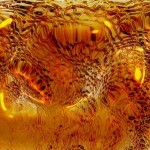 And it turned out that an australian honey has powerful antibacterial properties. Experts explain this by the fact that it contains high levels of methylglyoxal (a substance that is useful in the treatment of infections that are resistant to antibiotics). 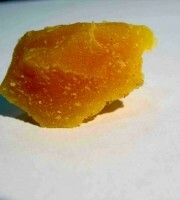 Myrtle honey also helps to heal wounds and ulcers. An announcement similar to this concentrates his or her awareness which is about the subject. Induce Attention deficit hyperactivity disorder. Possibly you might have thought to be, or perhaps tried using, this diminishment procedure or simply giving up cold turkey.